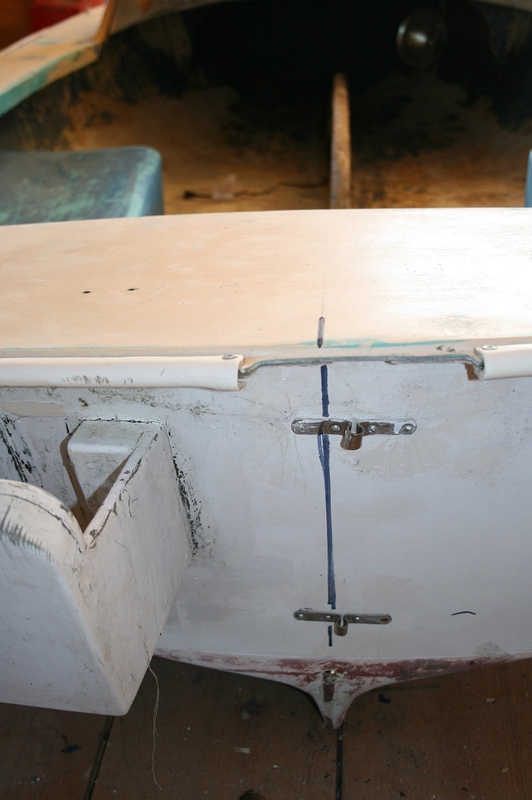 The term “restoration” may seem odd for a fibreglass production boat like the Ospray – but I think it aptly describes the process of repair, refurbishment, customizing and cosmetic transformation that this boat underwent at Pencil Brook Boatworks in 2011. 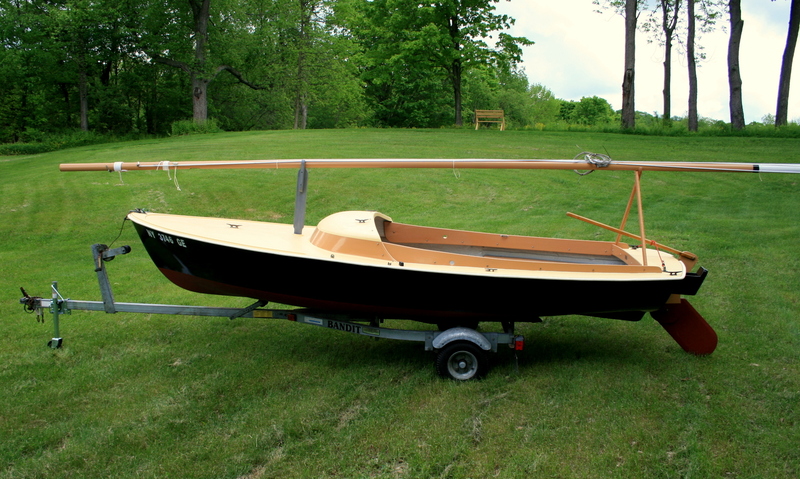 I – yes, I am Pencil Brook Boatworks – have actually “restored” 2 Osprays. 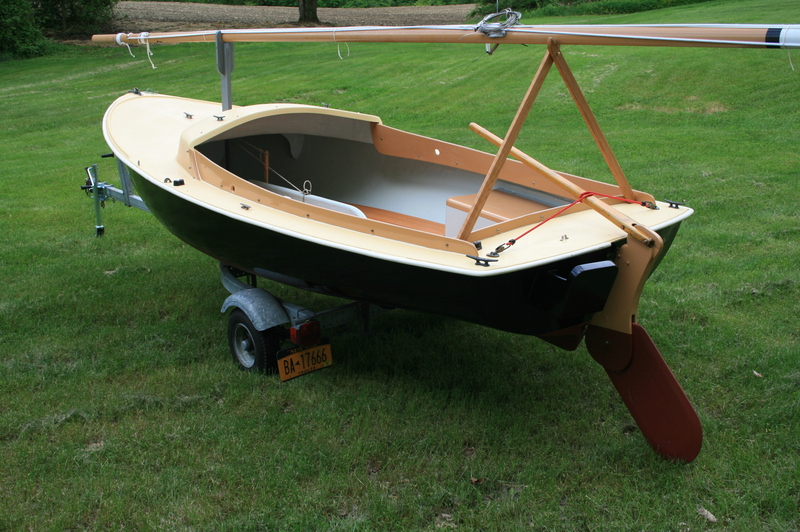 The first was one I had bought for myself – a young boater had begun the work but his Mom wanted her driveway back. I completed the work and sold it to a good friend and hunting/sailing partner – because he had owned one previously and, of course, I wanted something a little bigger (my restoration of my C/B Rhodes 19 will appear here within the next year, I hope.). 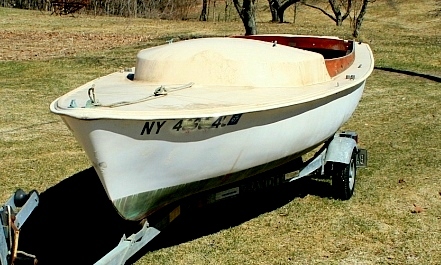 When I sent the “after” photos around to my circle of friends, another friend asked if I would put his long-neglected sailboat back in shape. I only insisted on total control of aesthetic decisions…. Here are the requisite BEFORE pictures. Lots of garish paint on interior that had to come out and a generally sound exterior in need of normal cosmetics. (NOTE: registration number blurred on purpose, not sure why, just seemed prudent). 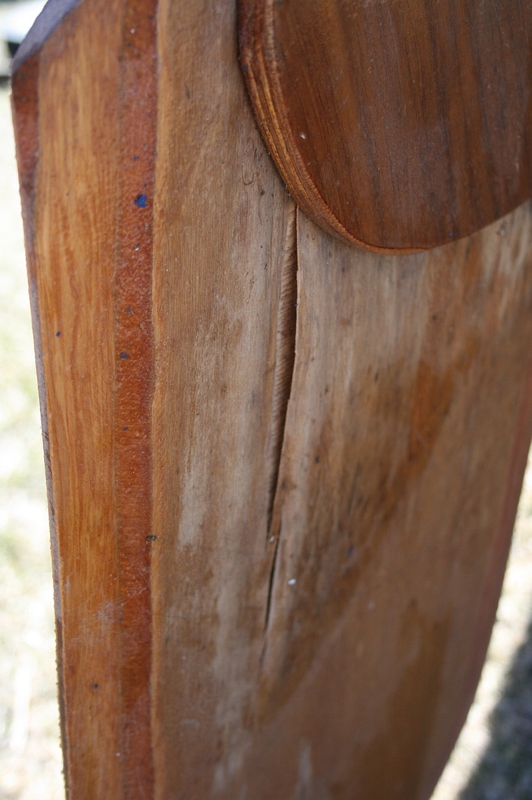 The kick-up plywood rudder was badly delaminated and – I have no idea why or when -the rudder gudgeons were both off-center and not even plumb. 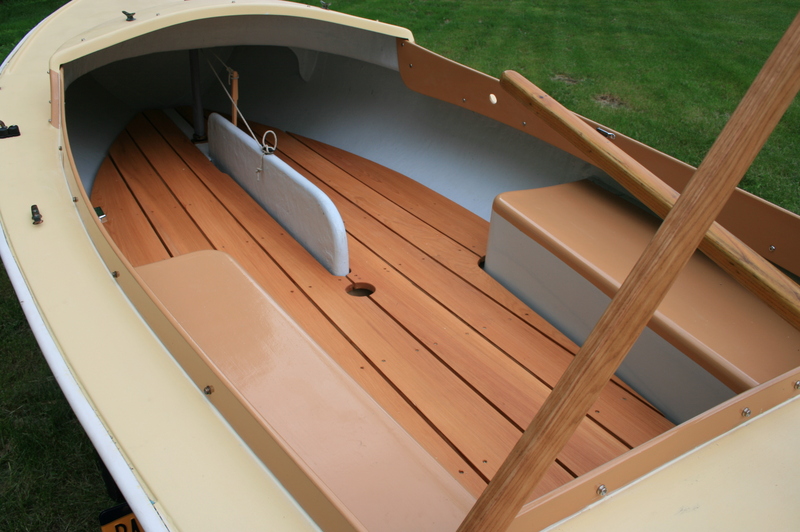 Here is an AFTER image showing the color scheme – very traditional, no more varnish to care for, with aluminum spars doing their best to pass as their wooden forebears. 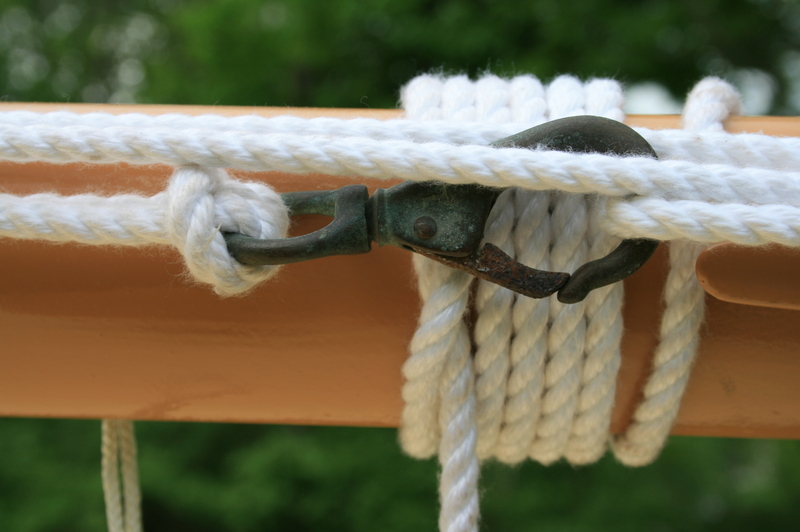 I carried the Sunset Buff (Interlux Brightside) from the coamings around the front of the cuddy to not break up the line (as on the factory boats) and to avoid the “popped-out-of-a-mold” look of the original – which was, in fact, popped out of a mold…. 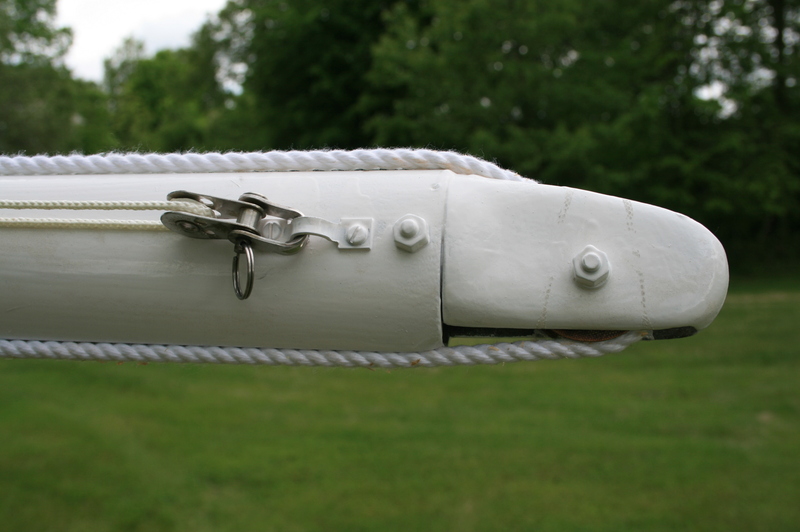 Boom crutch and forward mast strut are new; decks and cuddy-top are non-skid (which is also non-glare). Floorboards are new – to give a flat floor for the first time – and made of cypress. All the lines are new 3-strand spun polyester, spliced and whipped as needed. 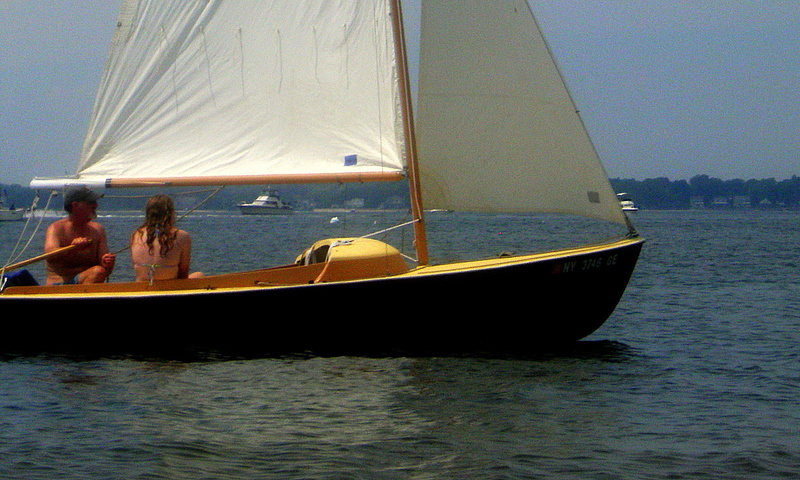 She now sails on Peconic Bay. Hi Steve, what a wonderful website! It is great to see all the projects you have done over the years and also get the back story. This page is particularly interesting as I also have an O’Day Ospray that I have alway wanted to restore, perhaps this will give me the push I need. 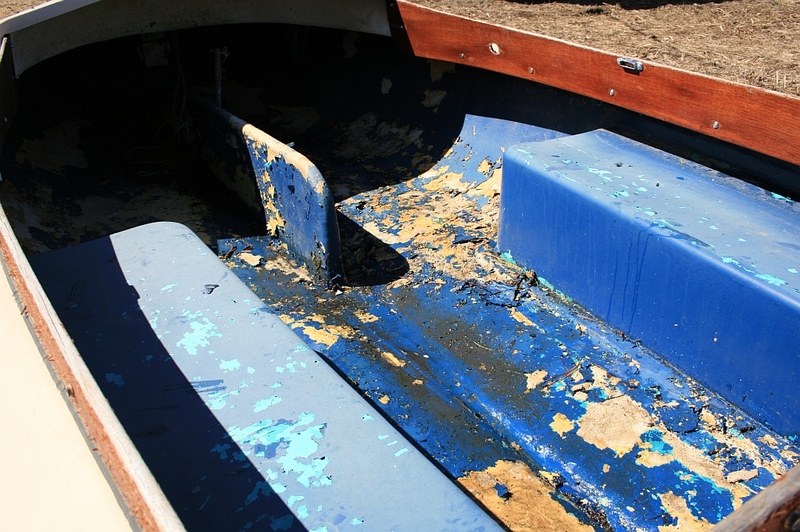 What color did you use on those bench seat tops? Very nice!